As a member of the Pharmaceutical Student Union you're also a member of SNAPS, PINSE, EPSA and IPSF which gives you a unique opportunity to connect with pharmacists worldwide. The Union's international partnerships are operated by the International committee (IU). Once a month, IU invites members of the Union to provide information about what's happening in the pharmaceutical world. IU consists of a president, vice president, secretary, EPSA-delegates, IPSF-delegates, presidents in the Pinse committee (when this is active), PINSE- delegates, PR-manager and representatives of other international project teams within the Pharmaceutical Student Union. SNAPS is the Swedish network for pharmaceutical students. SNAPS performs study monitoring between universities and colleges in Sweden that have pharmaceutical educations. SNAPS is also a base for discussion and arranging activities where all the pharmaceutical students can meet and socialize. PINSE is a Nordic cooperation between pharmaceutical students and where you can go to a congress once a year. PINSE is an excellent opportunity to get to know your neighbors from the Nordic countries. 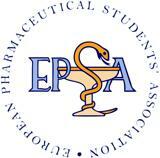 EPSA is a network for pharmaceutical students in Europe. It is a base for discussions and activities and works a lot with enhancing the pharmacists role in society, but above all to bring Europe's pharmaceutical students together. EPSA organizes two conferences each year, in the spring 2017 we went to Slovenia and in the fall we will go to the Czech Republic.